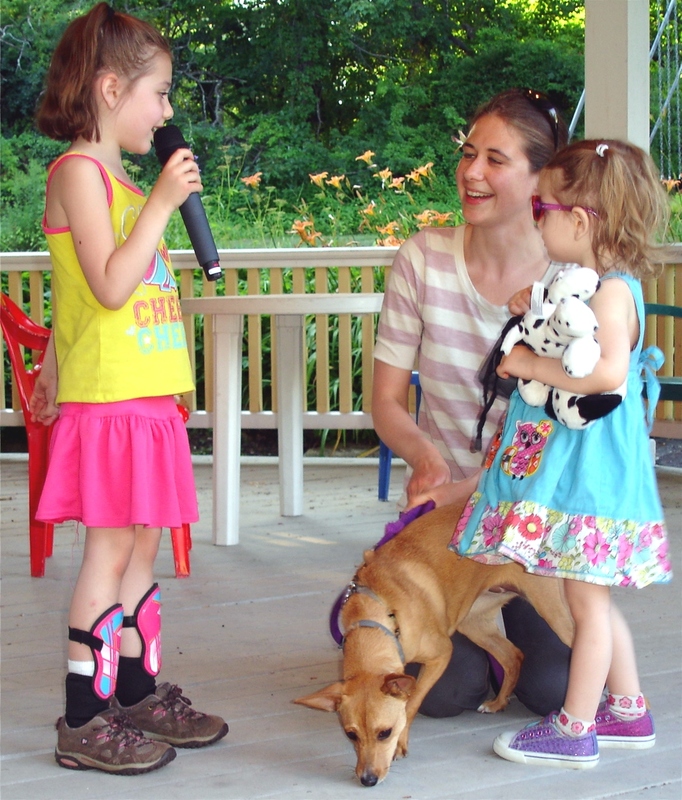 Serenity Klotzle, with microphone, shows the family dog, Greta, at last year’s Pet Show, sponsored by the New Gloucester Public Library. Her mom and sister, Elizabeth and Haven Klotzle, look on. This year’s Pet Show is scheduled for Tuesday, July 11. Would you like to show off your beloved animal and meet other interesting pets? Come to the New Gloucester Public Library, 379 Intervale Road at 6:30 p.m. on Tuesday, July 11, for the 15th annual Pet Show. All pets are welcome to attend for socializing and species-appropriate snacks. Light refreshments will be served for the human types. A representative from the GNG Animal Hospital will be on hand for a fun presentation. Two K9 handlers from Maine Search and Rescue Dogs also will give a presentation and demonstration. For more information, contact Carla at 926-4840. Registration is appreciated. Learn to make penny rugs with wool on wool applique with traditional rug maker Rose Ann Hunter at the Penny Rugs in the Shaker Spirit Workshop on Saturday, June 24. In the early 1800s thrifty women would recycle and repurpose worn textiles into folk art designs to create bed coverings, table mats and mantle pieces for colorful adornments. Most designs were made of layers of circles of wool traced from coins, hence the penny rug. The workshop, open to those 12 and up, occurs from 10 a.m. to 4 p.m. at Sabbathday Lake Shaker Village, 707 Shaker Road, New Gloucester. The fee is $70, and pre-registration is required. A complete kit will be supplied, just bring along a pair of scissors to cut your wool. Register online at www.maineshakers.com, or by phone at 926-4597. Sabbathday Lake Shaker Village presents the 12th annual Maine Festival of American Music on Wednesday, June 21-Saturday, June 24. The Shakers host the festival with all concerts taking place in their 1794 Meeting House, one of Maine’s most beautiful and acoustically superb venues for vocal and instrumental performances. The concert lineup consists of The Portland String Quartet, Kevin Siegfried & The Portsmouth Singers with Brother Arnold Hadd, and the Don Roy Trio. Purchase tickets online at www.maineshakers.com or call 926-4597 to charge by phone. A free Master Class Workshop Performance is scheduled from 3-5 p.m. on Friday, June 23, which is open to the public. We hope you can join us for the presentation by ReVision Energy that had to be cancelled in March because of the snow storm. The new time is Wednesday April 19 at 7-8:30. Some New Gloucester residents that presently have solar systems will also be on hand to further answer questions. The Meeting House is located next to the Town Hall at 385 Intervale Road, New Gloucester. It will also be televised on the local cable channel. Because of the winter storm, it was decided to cancel and reschedule the Solar 101 presentation for Tuesday March 14th. It has been rescheduled for Wednesday APRIL 19TH , again at 7-8:30 pm at the Meeting House. Join us on March 14th as ReVision Energy partners with the New Gloucester ‘s Environmental Resource Committee as their guest presenter to bring you an educational presentation on solar energy. Learn about hot water systems, solar electricity, efficient electric heating systems and more. Find out what makes your home a good site for solar collectors, how much these systems cost and what you can expect for a return on investment. Learn how you can use this renewable resource to become more energy efficient, save money and have less impact on the climate. The event will also be televised on the local cable channel. 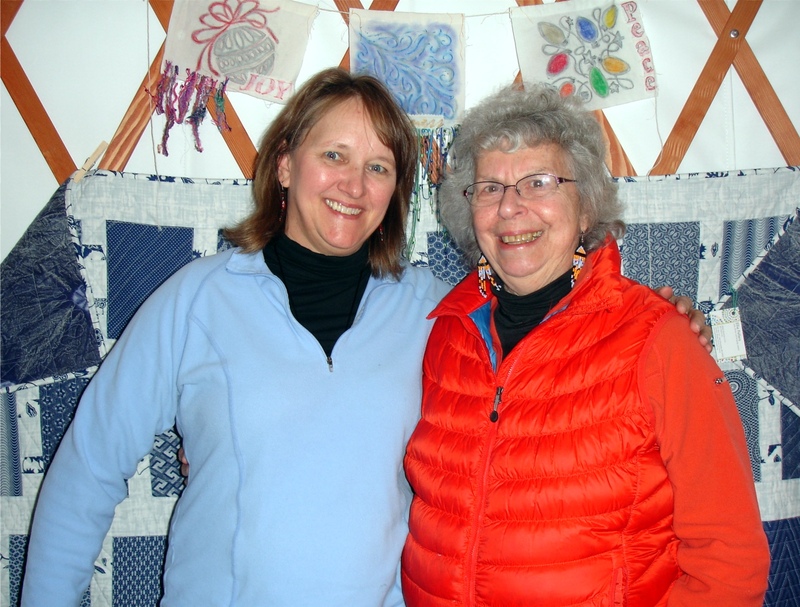 Sharon Vandermay, president of the Maine Modern Quilt Guild, will lead a prayer flag workshop, from 10 a.m.-noon, Saturday, Nov. 19, at Norumbega Yurts, 380 Woodman Road. Prayer flags are created with simple designs and hung outside – preferable in a high location. It is said that the positive energy of the flags, coupled with the natural energy of the wind, quietly harmonizes the environment, impartially increasing happiness and good fortune among all living things. Workshop participants will make their own squares for a prayer flag. The cost is $20, and materials will be provided. To register, contact Julie Fralich at 653-4823 or j.fralich@gmail.com. Sharon Vandermay, left, and Ellie Fellers, both of New Gloucester, stand against a backdrop of one of Fellers’ quilts and Vandermay’s prayer flags, which are on display at Norumbega Yurts, 380 Woodman Road. Help NGPL Guy get his powers back! Villain RedRay has stolen NGPL Guy’s powers, and NGPL Guy needs your help to get them back. What do you have to do? Just read. The goal is for all Summer Reading Program participants to read 4,301 books by Tuesday, Aug. 23. Sign up during library hours now through Saturday, July 9, at the New Gloucester Public Library, 389 Intervale Road, New Gloucester. A public workshop will be held on Monday, June 27 to provide information and answer questions regarding the new public works facility being planned in New Gloucester. The workshop will be held at 7 pm at the Fire and Rescue Station, at 611 Lewiston Road. Since last August, a Public Works Design Committee has been meeting to plan for the construction of a new facility that can meet current and future needs. With the help of Oakpoint Associates, a consultant hired with support from a CDBG planning grant, the committee has moved forward on site selection and development of conceptual plans. Based on a site assessment from the consultant, the Board of Selectmen last November selected the 25-acre town-owned parcel at 611 Lewiston Road – the location of the Fire and Rescue Station – as the location for the new facility. The current concept plan for the facility calls for a 10-bay 16,800 square foot garage and a new salt shed. At the public workshop, staff will give a short presentation aimed at providing background information and project details. The committee will then take comments and questions from the public. Besides committee members, a representative from Oakpoint and a hydrogeologist retained by the Town will be present to field question and provide additional information. A series of handouts, including a Frequently Asked Questions sheet and conceptual plans, will be available at the workshop. These materials can also be downloaded from the Town’s websites at www.newgloucester.com (go to “Boards and Committees” sidebar and click on Public Works Design Committee), and are also available at the Town Office. Questions regarding the workshop can be addressed to Will Johnston, Town Planner, 929-4126 ext. 4, or wjohnston@newgloucester.com.